This year marks the first Domotex has publicly announced the finalists of the Carpet Design Awards (CDA) prior to the actual show. 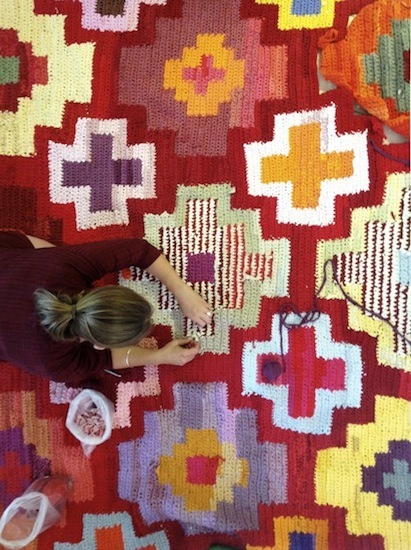 In years previous the finalists were notified – so that they could obviously ship their rugs and carpets to the show – but were politely asked to keep the details of their involvement undisclosed. This was met with varying degrees of success mostly leaning toward the unsuccessful for it seemed everyone knew who and what was going to be there, at least when I was a finalist. 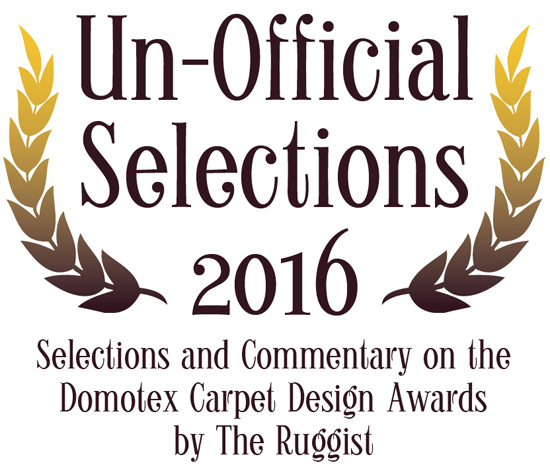 Regardless, we welcome the change for it gives us a chance to fancy ourselves judges in our own mind, lauding critically the so called Un-Official Selections of the 2016 Domotex Carpet Design Awards. 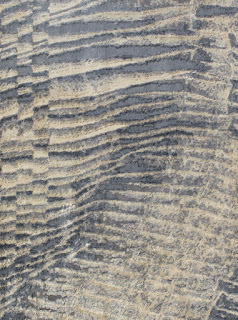 These selections are based solely on images and descriptions of the carpets as provided to us by the entrants by way of Domotex. 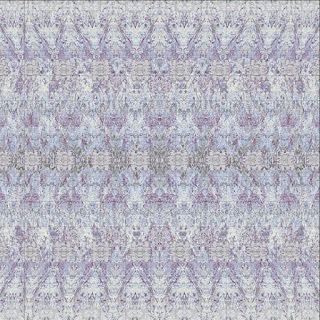 These ‘selections’ – which I am in no way describing as ‘winners’ – are the ones I would select (from the three choices) were I a judge of the Carpet Design Awards and reflect my subjective opinion. Please, by all means, feel free to disagree. 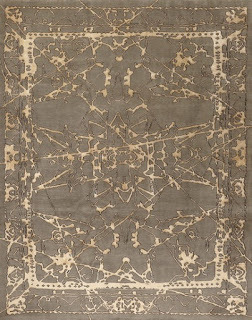 As a point of contention however it should be noted that several of our non-selected carpets were disqualified carte blanche because the images provided were renderings, not actual photographs. 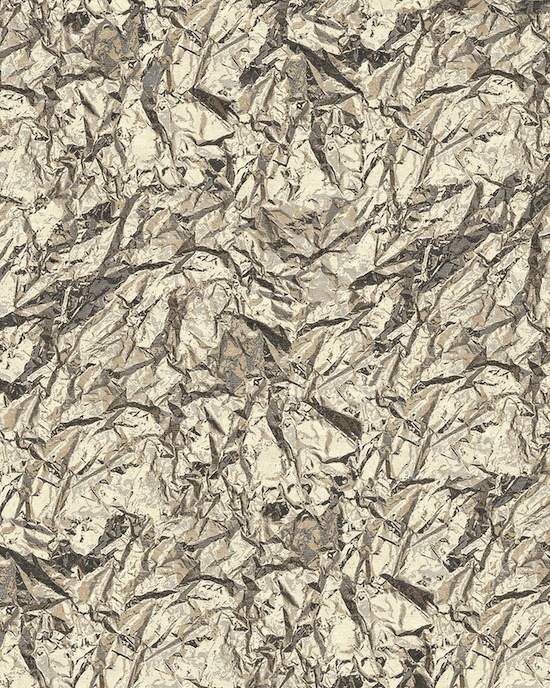 I adamantly disagree with Domotex allowing submissions based on renderings. This is akin to the Academy of Motion Picture Arts and Sciences allowing Oscar nominations based on trailers as opposed to finished films and I find it lessens the prestige one wants to associate with any award of high repute. But enough of that. 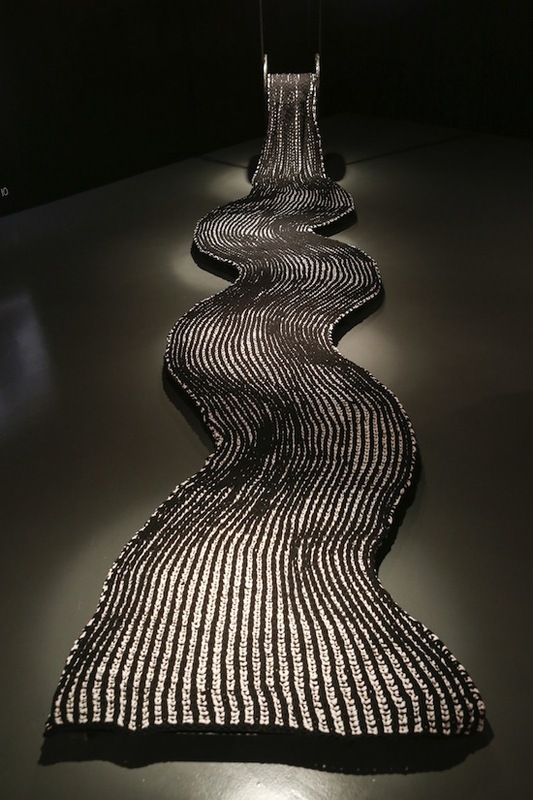 Without further adieu, we present selections and commentary on the Domotex Carpet Design Awards. 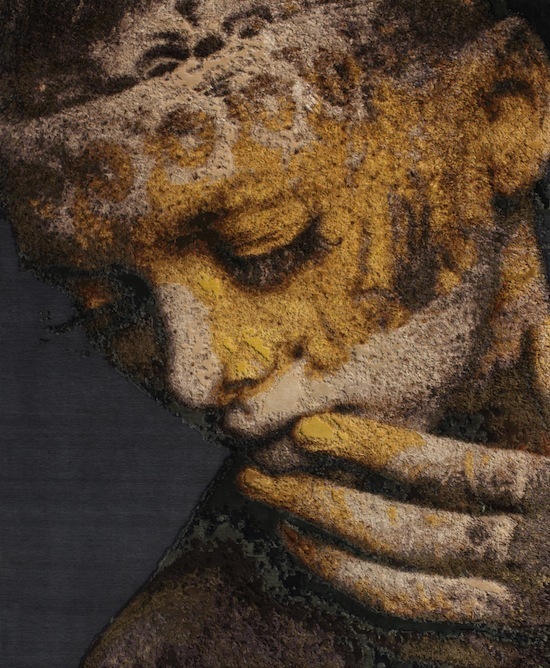 The Ruggist Un-Official Selection: Wool and Silk. I have long been attracted to and maintained my interest in the carpets of Erbil Tezcan. Certainly his willingness to use colour plays a part, as does his love of an inviting hand, but the enduring attraction is that just before you get tired of his work, he presents something new and refreshing. 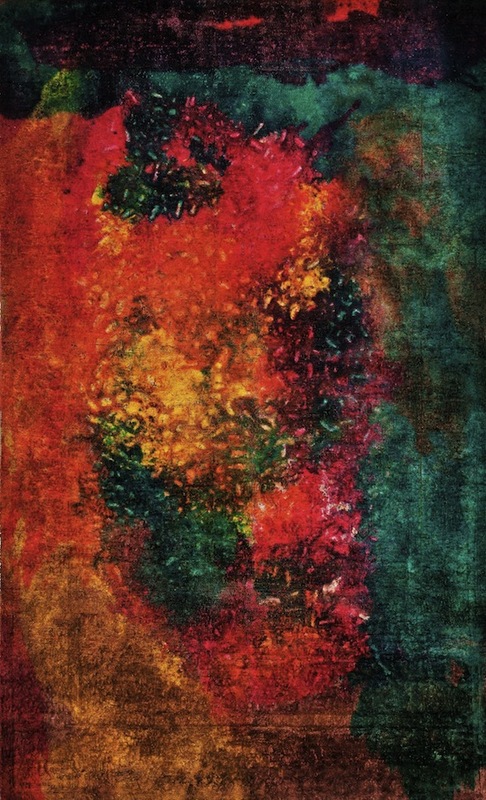 Though this particular carpet bears resemblance with some of his past work, it still outshines the competition in terms of colour and composition. 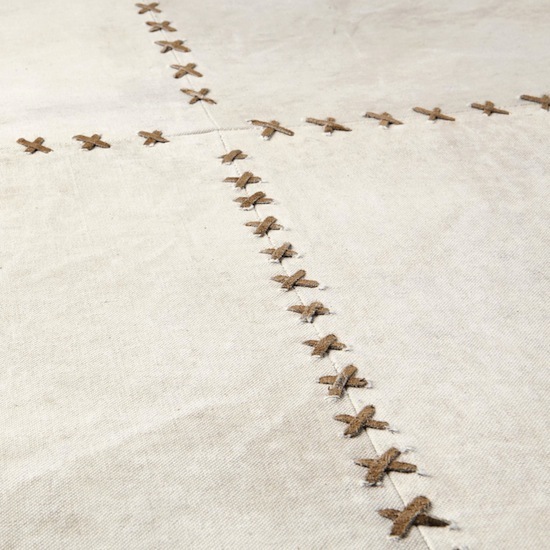 Just think of all the ironing you would have to do with this carpet on your floor? 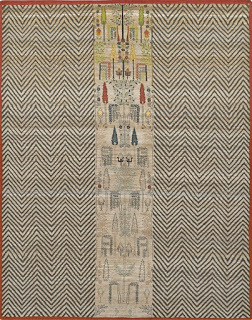 Seriously though, there is a lovely ‘alpine’ feel about this piece, but is not so much design as it is literal translation. 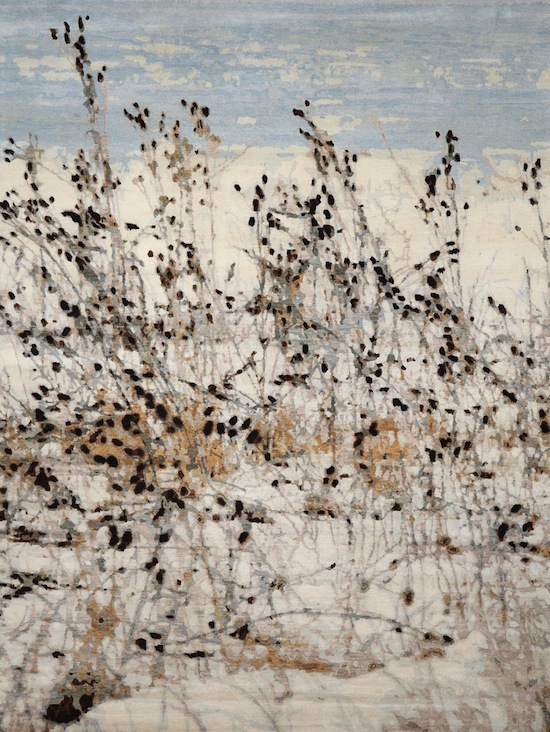 The textural design elements of this carpet are quite stunning providing a wispy shag like contrast to the field pile, but it also reminds me of the work of another designer I first saw in 2006 at NORS in Atlanta. The Ruggist Un-Official Selection: Chevalier Édition. 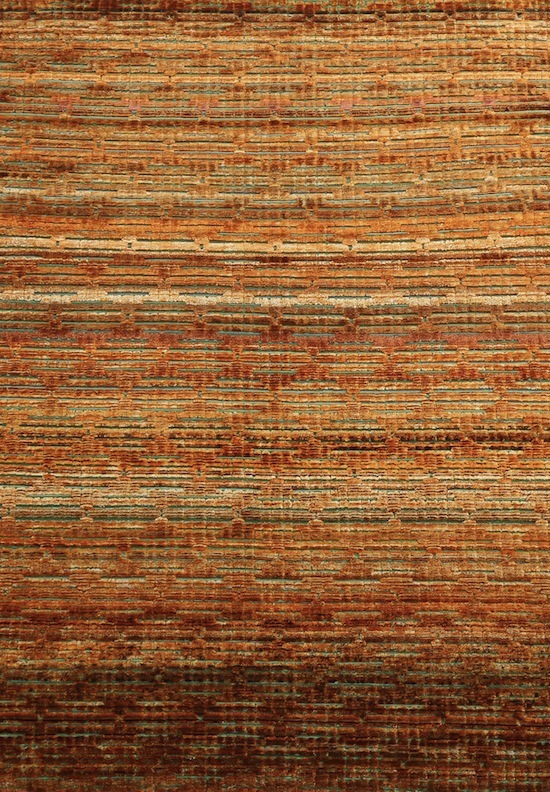 This carpet reminds me of the countless hours I spent in university working on drawings (we did things by hand back then) creating textures by cross-hatching. 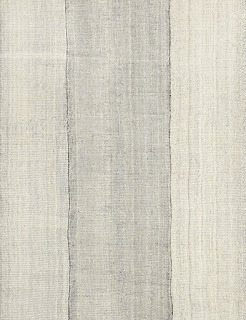 The need to balance a perceived textural uniformity, with the inherent artifacts of handwork always created concentrations of lines – sometimes where you did not want them, but always with that element of chance and intrigue. Vive le fait à la main! 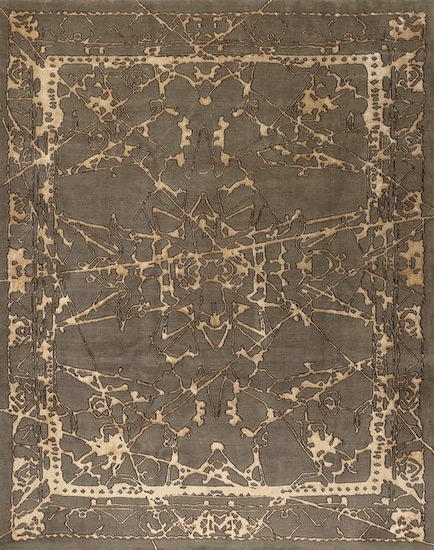 I genuinely enjoy the carpets and approach to modern carpet making of Hossein Rezvani but I feel this carpet is not one of his more striking pieces. 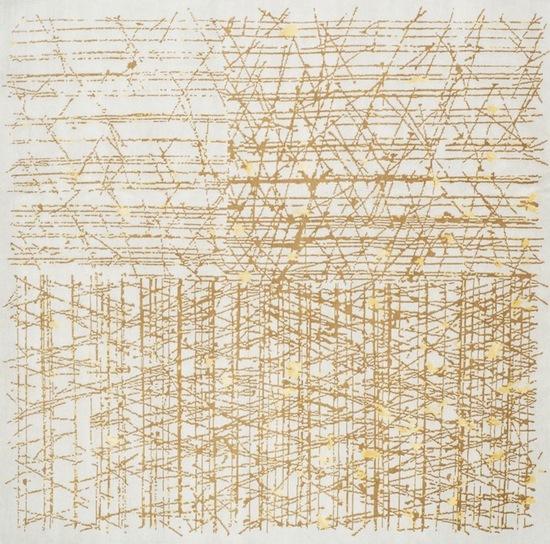 Had something like this been a finalist, the results would have varied, and we would be talking about stunning ‘yellow diamonds’. It’s somewhat disappointing to see several carpets in the finals that are little more than, as I said about Jaipur’s other entry, literal translations. Perhaps this is related to my love/hate relationship with photorealism, but I fail to see the ‘design’ in this piece, even if the professed intent was the play between artist and machine. The Ruggist Un-Official Selection: Art Resources. Given the three finalist carpets in this category I was a bit torn, but ultimately and unsurprisingly erred on the side of colour for my selection. 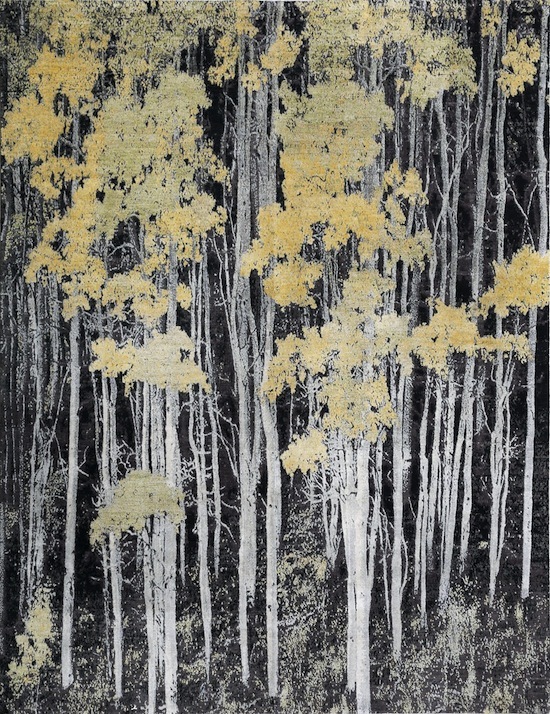 Of particular interest in this carpet it the appearance of depth created by the layered tree trunks as well as the suspense and ever so slight fear recalled as I imagine walking through a forest unfamiliar at night, alone, with just a dim light. Hmmm, the emotions draw me in much the same way a good horror film draws you in with suspense. Making a ‘selection’ based on description and image alone – absent of the tactile and visual beauty of a present carpet – is dangerous. 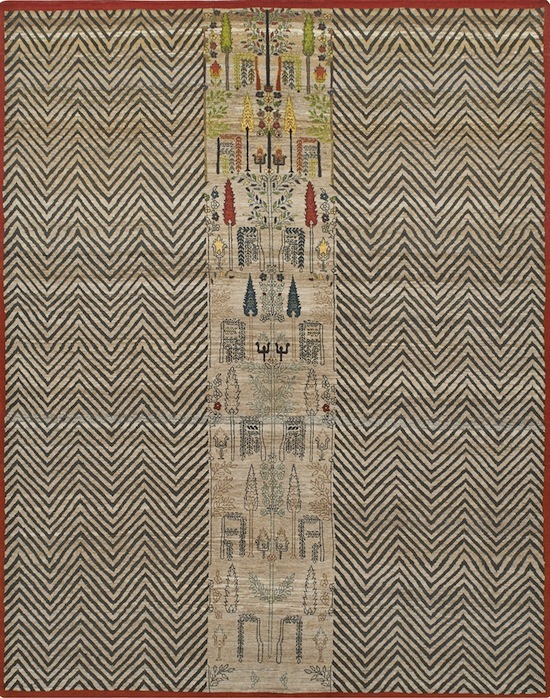 I love the elegance of this carpet, and the use of both goat and sheep’s wool, and am admittedly intrigued by the ‘raw weaving’ technique used in its construction. Definitely worth seeing, and perhaps reconsidering. 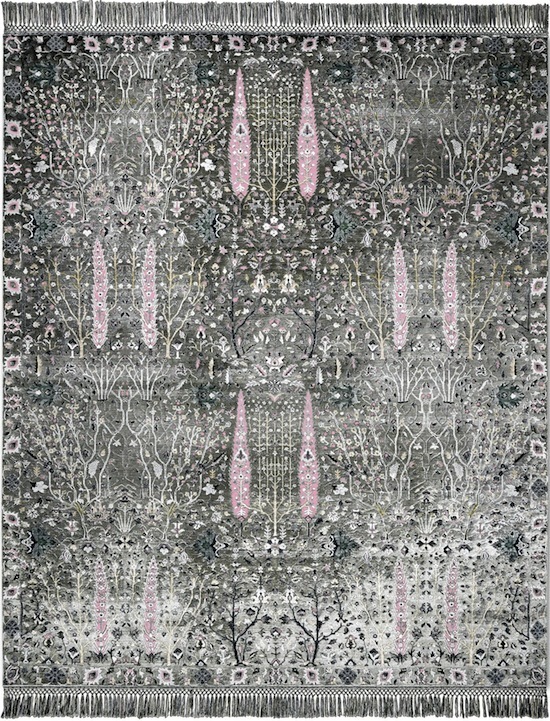 I saw this carpet in person at the NYICS back in September and I liked it then, just as I do now. The luminous centre alluding to the sun breaking through a frost covered window is very inviting, but at the end of the day I see enough of that looking out my kitchen window. Perhaps if I lived in a more tropical climate I would be more inclined to invite winter in. The Ruggist Un-Official Selection: Rug Star. This category had two very strong contenders both of which use what I would consider rather traditional design elements and styles. 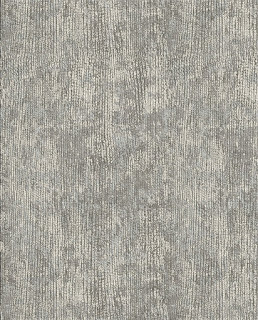 Rug Star ended up with the selection because of the use of less traditional colour palettes thus imparting a modern flexibility that the other collections did not have. Moreover the pink/charcoal palette is reminiscent of vintage 1950’s tile which lends a time spanning quality to the piece. As noted immediately above, this was the other strong contender in this category. 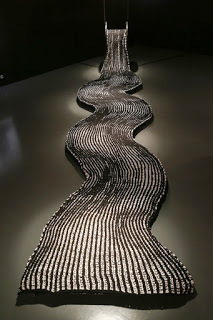 I love the design elements and find the structure most appealing. At the same time, I find the colour palette a bit staid for a transitional collection. 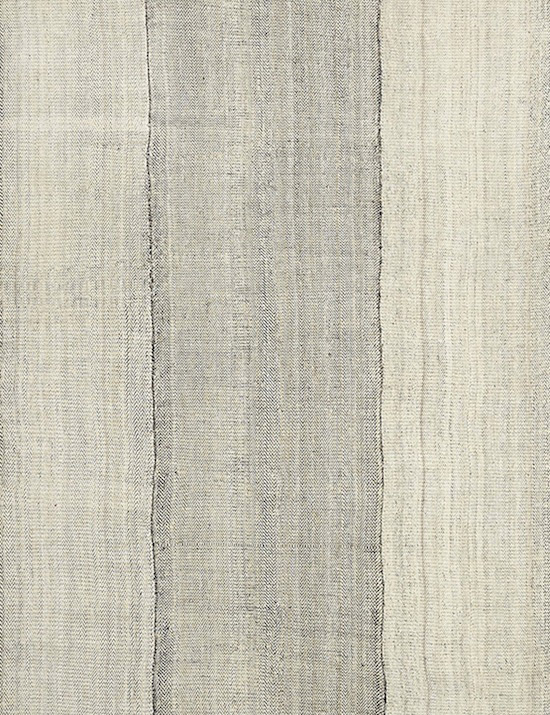 This is a mixed height soumak construction made entirely of silk that – according to the description – utilizes a dying technique imparting ‘hundreds’ of colours to the piece. That being said, I find the rigidity and regularity of the design a bit strong for my own taste. The Ruggist Un-Official Selection: Chevelier Édition. This was the easiest selection to decide. ‘Persy’ is literally a design derived by transitioning a traditional design to the modern, thusly bridging two (2) styles that are far more readily defined than that of something ‘transitional’. I cannot wait to see this in person and I hope they have a round version of the design on display in their stand. 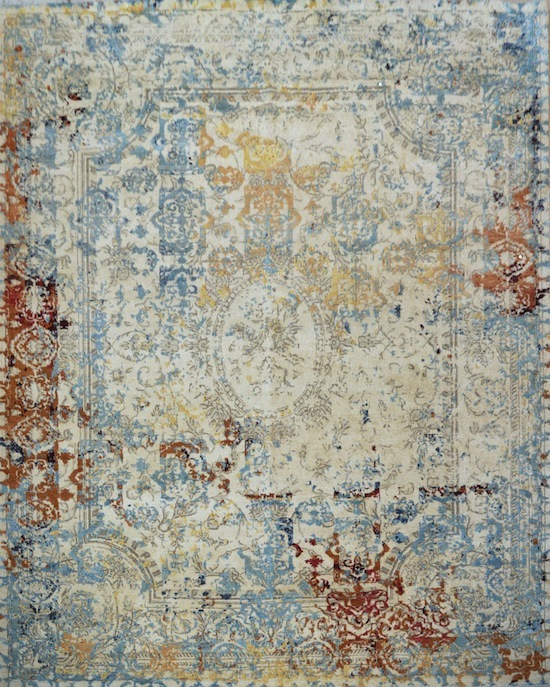 If we are to define transitional as a style that bridges what we class as traditional with the modern, we should expect a blending of elements, colours, techniques, et cetera in such carpets. Sometimes we try to blend too many things and it ends up looking discombobulated. Honestly, I really wish this carpet had not been up against ‘Persy’ for it would have been selected in the other’s absence. That notwithstanding, the traditional tree motifs paired with the strong graphic chevron bands are very visually stimulating. If I could pick two (2) I would! The Ruggist Un-Official Selection: Rug and Kilim. Though the inspiration for this design originates prior to the 1950’s my previous ode to the era should tip you off to my love of mid-century modern. 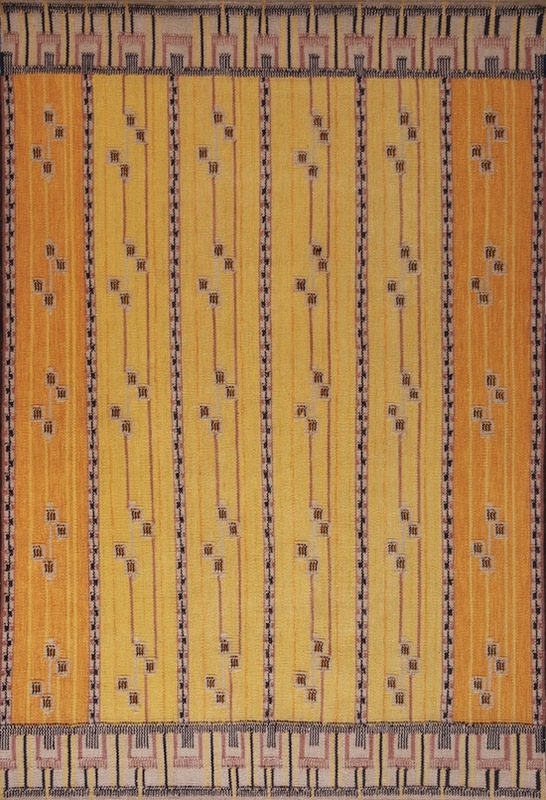 But that alone is not why this scandinavian inspired flatweave made my list. 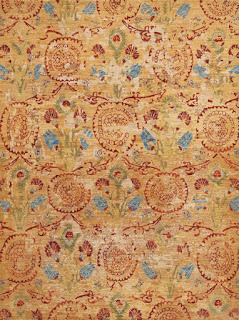 I selected it because, much like the broader design industry, we may need to come to terms with the fact that design from the relatively proximal past is now pushing seventy (70) years old and can easily be considered traditional, and specifically as it relates to rugs and carpets may originate from more than one place in the world. 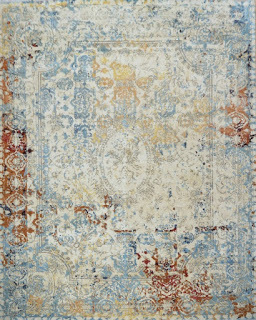 There is no fault that can be found in this stunning, and we are to presume, exceptionally well made carpet. 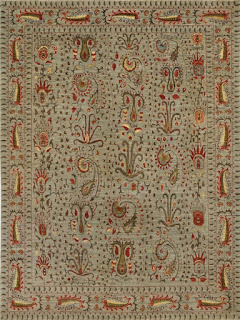 The colours are magnificent as is the symmetry, but at the end of the day it remains a carpet too rigidly adhering to the tradition of traditional for my current favour. Now for the real irony in this category. Given the three (3) to choose for my own home, this is the one (1) I would take. I love, love, love the paisley border, the petit dot like elements, and the colour palette reminds me of growing up in Ohio. The Ruggist Un-Official Selection: Ayka Design. 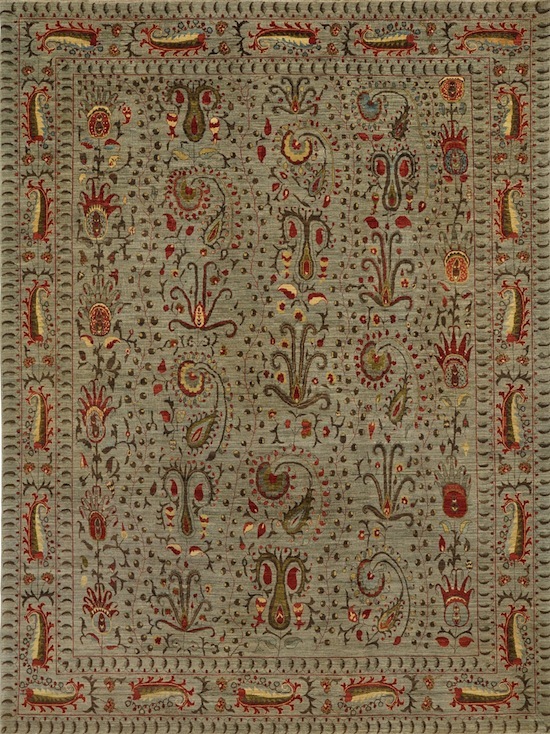 Are we to judge a carpet based on its artistic merits, its novelty, or its function? Obviously we don’t use any one criterium but in selecting ‘Beauty’ I’ve opted to forgo the capital ‘A’ Art value of the other two (2) entrees, erring on the side of a carpet that still actually functions as a carpet, and not an objet d’art. 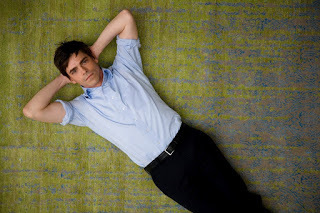 As for this carpets merits, it’s all in the texture, texture, texture. I cannot wait to get a hand(le) on it. It’s cute, it’s playful, it’s fun, it’s crocheted, but I’m not certain it has much merit outside of an overly artistic interpretation of a rug. 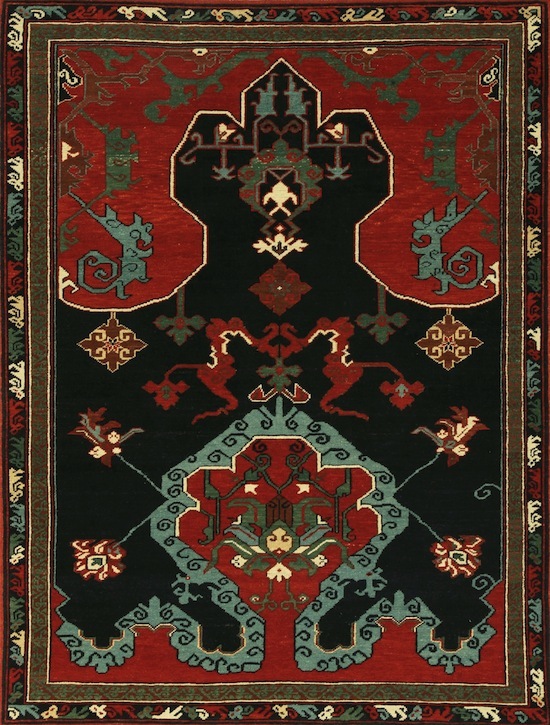 Rugs and carpets must maintain function for it is their nature, and I worry such a construction would not. 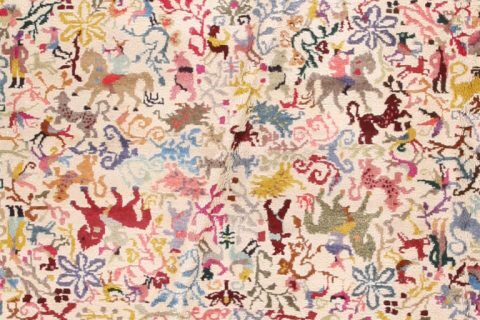 It’s cute, it’s playful, it’s fun, it’s made of jersey knit cotton, but I’m not certain it has much merit outside of an overly artistic interpretation of a rug. 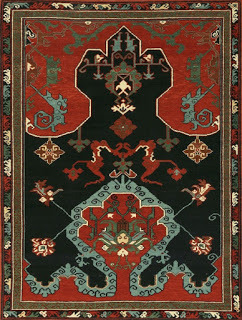 Rugs and carpets must maintain function for it is their nature, and I worry such a construction would not. The Ruggist Un-Official Selection: Zollanvari. 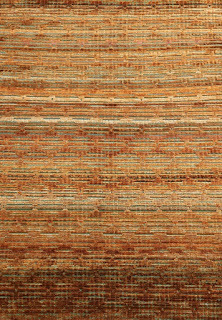 If everything stated about the dying technology behind this carpet is true and verifiable, and indeed if Zollanvari intends to share this knowledge instead of hoarding (perhaps a strong word, but the intention is clear) it, then there is absolutely no conceivable way any other carpet presented this year could be selected as best innovation. 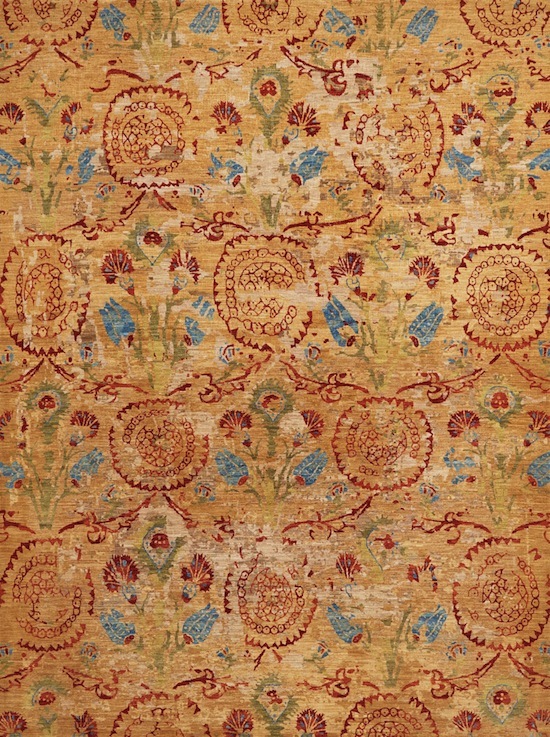 From the description: ‘Our innovative technology allows us to dye our carpets at freezing temperatures as opposed to the traditional process of using extremely high temperatures to bind the dyestuffs that is detrimental to both the environment and the silk fibres.’ I look forward to visiting Zollanvari and finding out more! Made of recycled army tents and sewn together with a decorative leather stitch, this carpet, and I’m quoting, ‘honours loved ones who lost their lives during the war.’ Uuuughhgh. Emotional pleas aside, recycling, or repurposing if you’d rather, is not new, nor in my opinion, should it even be in contention considering it won another award in 2014. Innovation is tied to time, and even if it was innovative in 2014 (it wasn’t) it most certainly is not now. 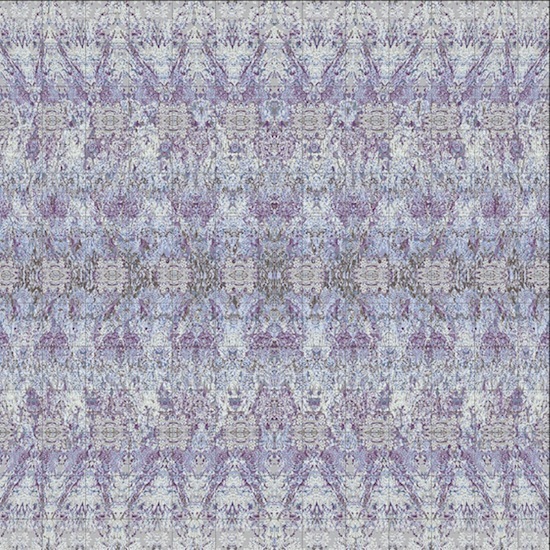 This carpet claims (we’ve not yet seen it in person to verify) to duplicate the stereogram effect that gives the perception of three (3) dimensional depth to an otherwise two (2) dimensional object. You may be familiar with the concept from those schlocky posters that were available in malls throughout America in the early nineties. 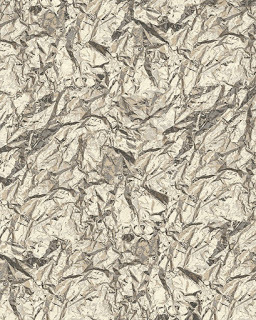 If this works, it will add an interesting, if not novel, element to carpet design. I hesitate to call it innovative however as it is merely an extreme extension of skilled weaving and computer aided design. 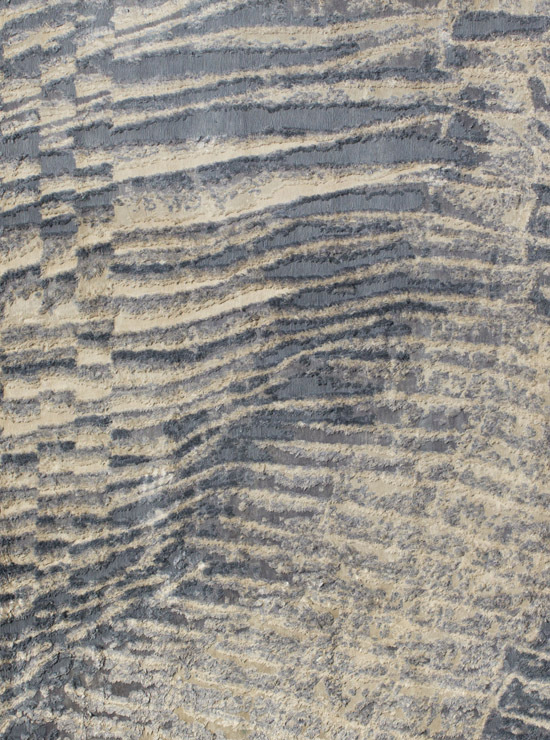 The Ruggist will be at Domotex from Saturday 16 January 2016 – Monday 18 January 2016. If you would like to follow along as I take in all that the world of rugs has to offer, you may do so on Instagram (pretty pictures), Facebook (pretty pictures and occasional articles), or Twitter (pretty pictures and and occasional sassy non-rug related commentary). 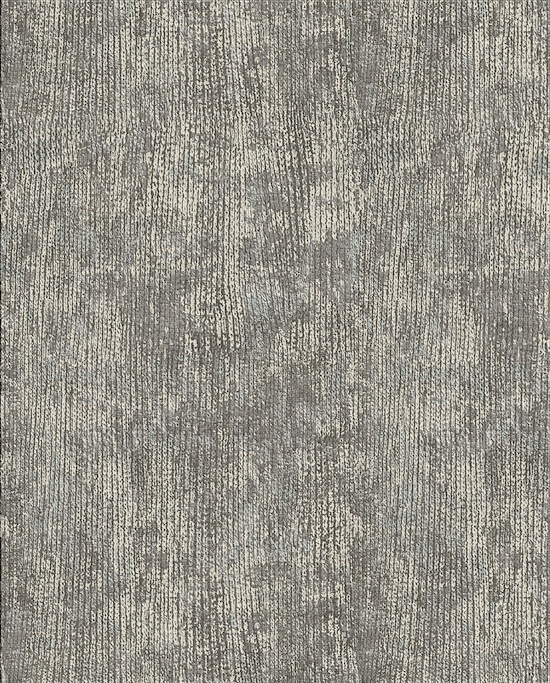 Be sure to read The Ruggist’s show review of Domotex on ruginsider.com later in January. If you would like to meet up to talk rugs and carpets (or other topics we find mutually enjoyable) during Domotex you may leave a message for The Ruggist (Michael Christie) at the Press Office or at the LabelSTEP Stand – Hall 17, B31. 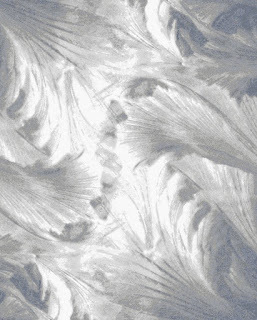 Nota bene: All images copyright their respective rights holders, including but not necessarily limited to Domotex. Please contact Domotex for usage rights. TODAY ONLY! EVERYTHING MUST GO! 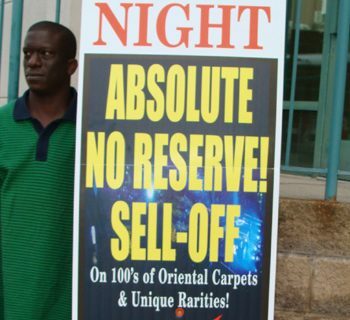 NO (REASONABLE) OFFER REFUSED!